What we eat can effect our body in so many ways. 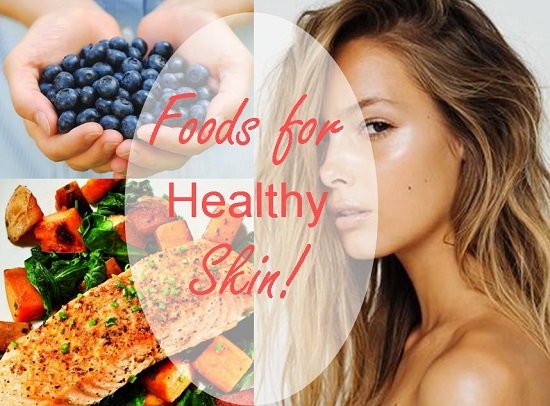 Let’s take a look at these foods to boost your skin health. WATER Dehydrated skins increases the appearance of wrinkles and blemishes. You can top up your daily hydration intake with soups and water high fruit and veg. mackerel and salmon, eggs, beans and legumes, cheese, avocados, nuts and seeds. help absorb vitamins Find good fats in meats, fish, avocados, nuts and seeds. VITAMIN A – thickens and stimulates the collagen, elastin and blood vessels, reducing wrinkles. red peppers and mangoes also garlic, and ginger. VITAMIN B – help to deal with dry and itchy skin and dermatitis. Eat plenty of seafood, nuts, sunflower seeds, leafy greens. VITAMIN E – an anti-oxidant that can help protect skin cells and repair damage caused by free radicals and then sun. nuts, sunflower seeds, shellfish and broccoli. helping to repair damage, relieve dryness or irritation, and more. Solution: Kale. Containing vitamins A and K to protecting your skin against premature lines and wrinkles. Vitamin K is also known to help perk up the sensitive eye area and dark under eye circles. Solution: Blueberries. 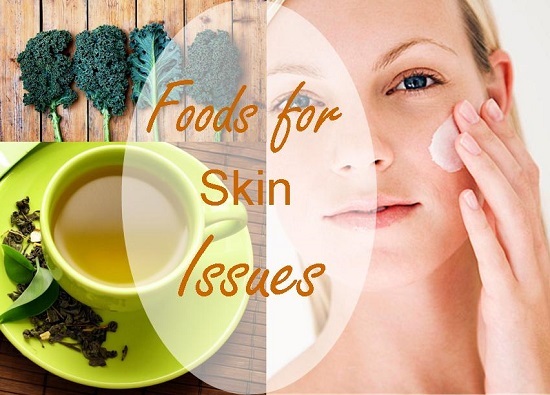 Antioxidants helps balance oil levels in the skin, reducing the build ups that cause acne. The vitamin C levels help strengthen blood vessels, making them less likely to break. Solution: Carrots The nutrients in carrots help treat acne and the vitamin A in carrots works to retain skin’s elasticity. Solution: There are a range of foods to promote growth of nails and hair: Greek Yogurt, milk, eggs, oysters, salmon, spinach and sunflower seeds. So keep these foods in mind next time you’re at the market!